An effective wireframing tool is essential to project managers as they need to showcase their work and communicate with their team visually on how the app works. You might already know several iOS wireframing tools, and perhaps have made a comparison of the functionalities and prices. Edraw may not be the best one as it doesn't dedicate to wireframing only, but it's the most cost-effective one because owning Edraw means you have 200+ software for all different diagrams. 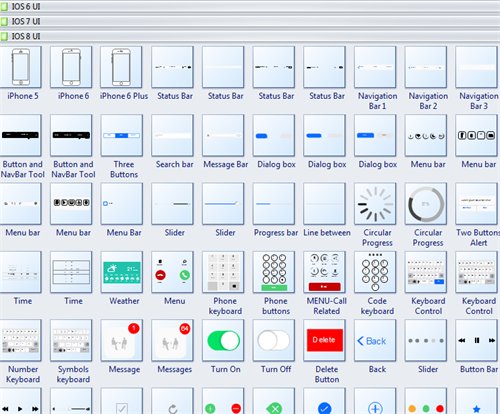 Edraw includes a standard template suite for iOS wireframing containing more than 400 existing widgets and elements for app prototyping, which is helpful to start off with. 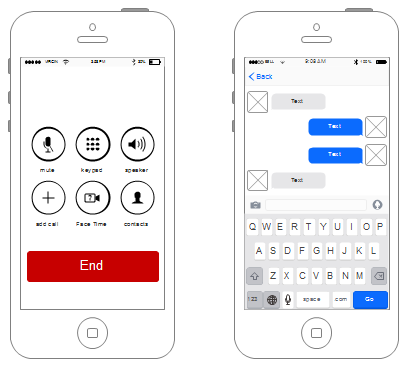 You can use the standard and fully-editable iOS wireframe widgets to create awesome high-fidelity iPhone wireframes for iPhone 4s, iPhone 5, iPhone 5s, iPhone 6, iPhone 6 plus, and iPad. Without an easy-to-use UI, you can not make your work fast. 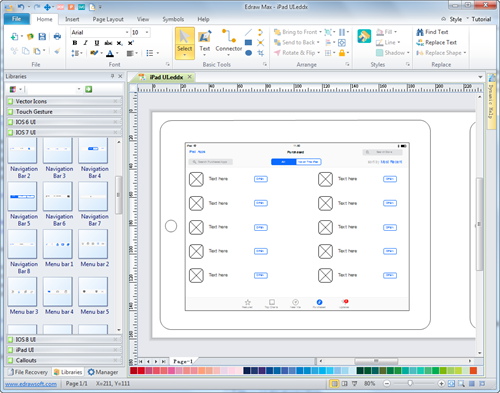 One of the advantages of Edraw is its highly straightforward user interface. You don't need to spend time to get accustomed to it as it looks like a Microsoft program. Dragging and dropping high fidelity shapes and make a quality wireframe with lightning speed. Download a free trial and see first-hand how quickly and easily you can create great-looking iPhone UI wireframe.